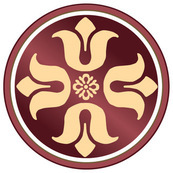 The Homestyles Group is a Central Florida based, full-service design and remodeling firm. We specialize in custom cabinetry, complete kitchen remodels, complete bathroom remodels, complete home renovations and room additions. Our team of designers and in-house licensed contractors will take you through a step by step remodeling process, from designing your dream kitchen, bathroom and/or complete home, to selecting materials, obtaining the proper permits and executing the actual construction phase. HomeStyles is your one-stop shop for everything that is kitchen, bath, and remodeling. In our state of the art, Orlando Area Showroom, you will find everything you need for your home improvement project, including kitchen, bath cabinets, tiles, countertops, flooring materials, lighting and plumbing fixtures, appliances and more. We literally have thousands of remodeling options for you to select from. We are proud to service Central Florida, including: Altamonte Springs, Apopka, Casselberry, Clermont, Daytona, Debary, Deland, Dr. Phillips, Lake Mary, Lake Nona, Longwood, Maitland, Mount Dora, New Smyrna, Ocoee, Orlando, Oviedo, Sanford, Windermere, Winter Springs, Winter Park and all surrounding areas. At the HomeStyles Group, the one thing that most distinguishes us from other kitchen and bath companies is that we are also a complete remodeling company. 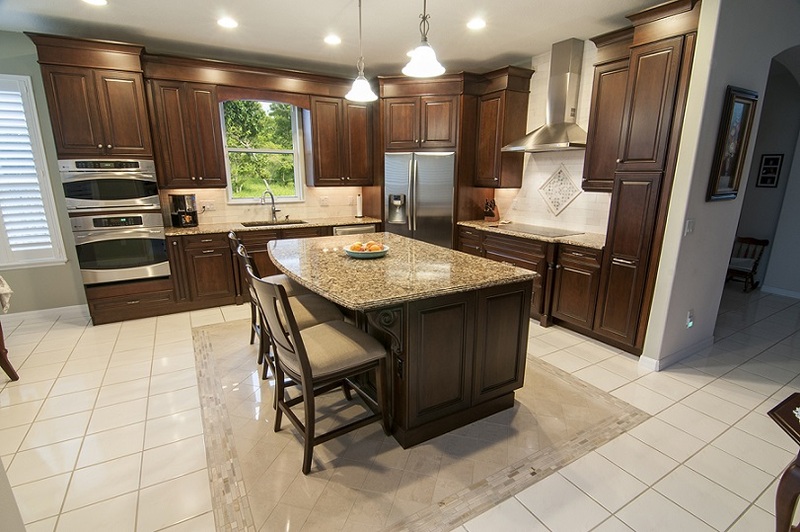 From custom cabinetry to complete kitchen and bath renovations, to full home renovations and additions, we can do it all. 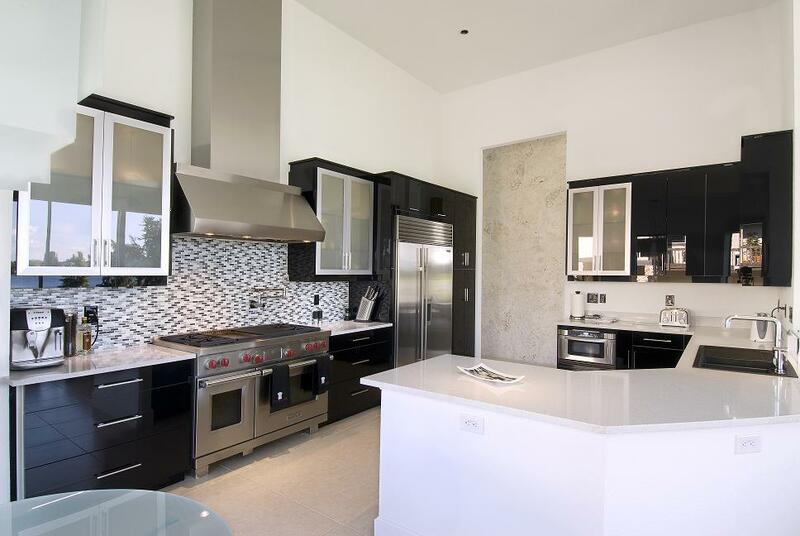 Our team of NKBA Certified Kitchen Designers, Bathroom Designers and State Licensed Residential Contractors can handle everything from the initial design phase through complete construction. Whatever type of renovation project you are considering for your home, chances are, we are experienced with it. For over the past five years, I have had the privilege of working with Eric and Mike at The HomeStyles Group. Their honesty and integrity is unsurpassed. They are committed to providing their clients with the highest quality products, each styled to suit the homeowners tastes. Our project was completed on time and the crew did a wonderful job. We were very pleased and would definitely use The HomeStyles Group again. They were always willing to answer questions and make any changes to ensure we were happy with our project. We would definitely recommend them to anyone else wanting to renovate their bathroom! The Homestyles Group is a Central Florida based, full-service design and remodeling firm. 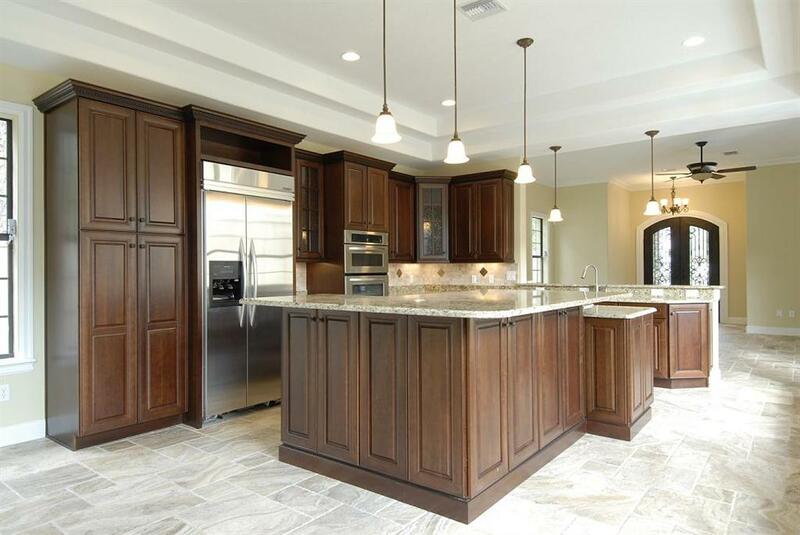 We specialize in custom cabinetry, kitchen and bathroom remodels, complete home renovations and room additions in Orlando and the surrounding areas. When was the last time you made changes to your home? Upgrading a room can give you the storage space you need. Create full bathrooms or simply install custom cabinets to give your kitchen an updated look. If you are looking for a professional and reliable business to take on your project, The Homestyles Group offers a range of residential remodeling services so you can get the kitchen, bedroom, or bathroom that you really want. The Homestyles Group has a team of experienced designers and in-house licensed contractors who will take you through a step by step remodeling process. We are your one-stop shop for everything that is kitchen, bath, and remodeling. From designing your kitchen, bathroom, and/or complete home, to selecting materials, obtaining the proper permits and executing the actual construction phase, we walk you through the process every step of the way. Stop by our showroom in Orlando, where you will find everything you need for your home improvement project, including kitchen, bath cabinets, tiles, countertops, flooring materials, lighting and plumbing fixtures, appliances and more. We literally have thousands of remodeling options for you to select from. The Homestyles Group offers free consultation and design services for any area in your home that needs custom cabinetry, including the kitchen, office, bathroom, entertainment center and more. We are also happy to help you coordinate countertops, backsplash tile, appliances, and flooring according to your taste. The Homestyles Group selects only the most top of the line cabinet manufacturers in the U.S. for their craftsmanship. Not only that, our Orlando area showroom showcases these cabinet options in a variety of settings. See our custom cabinet options for new homes, remodels, and commercial projects while speaking with one of our experts about your requirements. An upgraded bathroom not only increases the quality of life in your home, but the overall value of your property. The Homestyles group offers complete bathroom renovations in Orlando. With access to the best bathroom cabinet manufacturers in the U.S., we can provide a spectacular look at a competitive price. You can rest assured knowing we will take care of the specifications, permitting, and more. Many clients turn to us with the hope of creating gorgeous walk-in showers, traditional tubs, new cabinetry, and vanities. 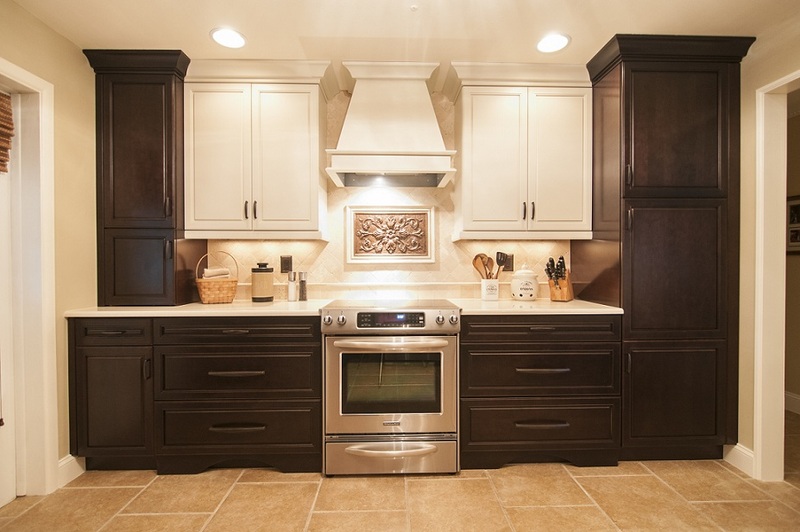 Our kitchen contractors can complete all aspects of the job, including plumbing and electrical work. A bathroom remodel can increase the beauty and functionality of your home. When you partner with The Homestyles Group, you work with a company that has earned a reputation for quality workmanship and service. 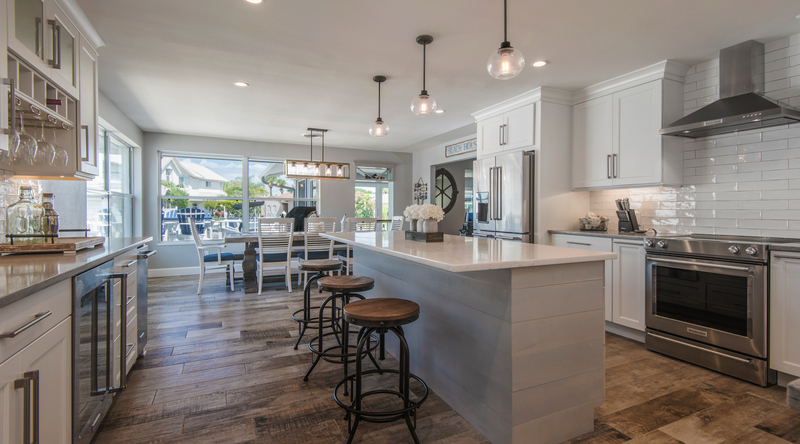 The kitchen is the heart of the home, which is why The Homestyles Group works to make sure your renovation is completely successful until the very last walkthrough. A kitchen remodel does not need to be an overwhelming experience. 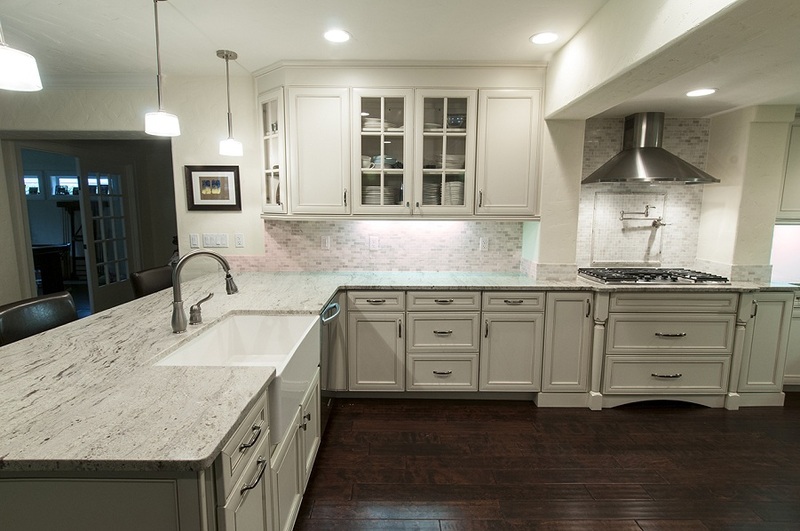 In fact, we are experts in assisting homeowners with kitchen cabinets, wood or tile flooring, upgraded sinks, and modern kitchen islands for a look that meets fashion and function. We handle all aspects of your remodel to fit your vision. You can feel confident that the project will be completed by professional contractors and installers. We also encourage you to stop by our showroom to see what we can do for you. 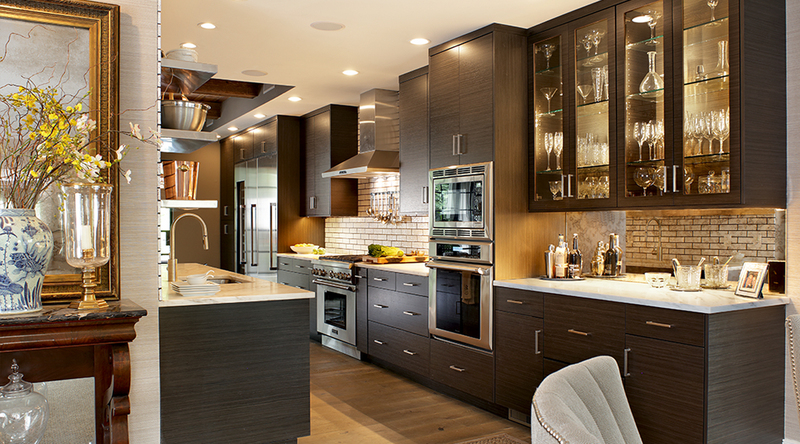 The Homestyles group leverages the leading kitchen design trends in the industry. Our remodeling services are unparalleled by others in the Orlando area. When you need a complete home renovation in Orlando, The Homestyles Group has experts who can help shape your ultimate vision. We navigate you through the process of turning your property into your dream home. Our NKBA certified staff helps you with the planning, design, and construction of your renovation according to your standards. We even create 3D imagery using AutoCAD technology so you can visualize the details. A designated project manager oversees your project and works with your team of designers, craftsmen, and more. They take the time to understand your needs so every detail runs on schedule. Looking for new room additions in Orlando? This is an option for anyone looking for additional floor space in your home. While the most common addition is a new bedroom, many families opt for a new bathroom or storage closet. In fact, we have been tasked with game rooms, workout roots, libraries, and more. When you work with The Homestyles Group, you are partnering with a firm that uses quality tools and materials while using time-tested approaches in project management, construction, and installation. Contact us about our room addition services today. 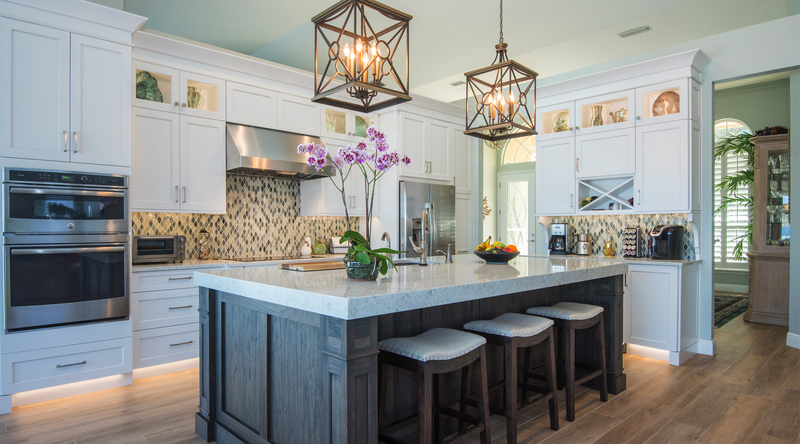 The Homestyles Group has a crew of NKBA Certified Kitchen Designers, Bathroom Designers and State Licensed Residential Contractors who handle everything from the initial design phase through complete construction. Whatever type of renovation project you are considering, our team ensures that your remodel is done according to your schedule and budget. The Homestyles Group services the Central Florida area, including: Altamonte Springs, Apopka, Casselberry, Clermont, Daytona, Debary, Deland, Dr. Phillips, Lake Mary, Lake Nona, Longwood, Maitland, Mount Dora, New Smyrna, Ocoee, Orlando, Oviedo, Sanford, Windermere, Winter Springs, Winter Park and all surrounding areas. With our experience in home improvements, The Homestyles Group guarantees that every remodel is performed with the highest level of service. Schedule a free consultation with our team today. We offer no charge or obligation for an initial meeting. Contact us during regular business hours at 407-326-2538 for an immediate response.